Bubba says that the riding in Central and Eastern Texas is lovely. 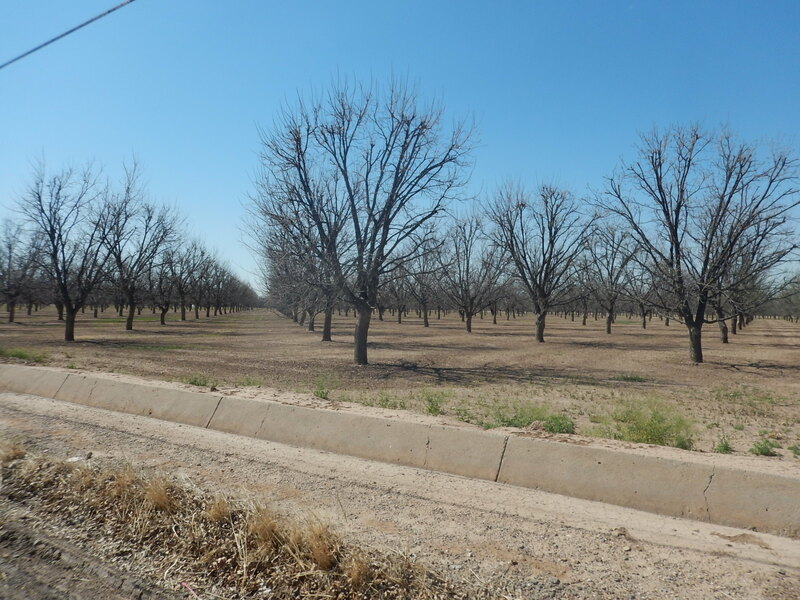 The problem is that we have to get through West Texas first. And so it begins…19 days to cross the great state of Texas. Forty percent of our miles are here. 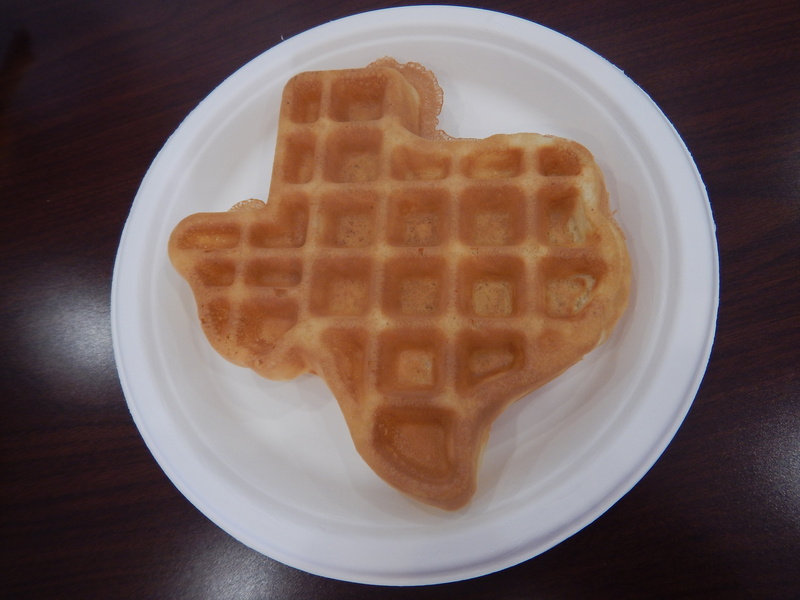 We wake up this morning in El Paso and start the day with Texas-sized waffles. What other state has a waffle maker that spits these out? We have got to get through about 30 miles of seemingly connected shopping centers before we are in the country again. While pedaling through downtown we are treated to a view of the city. The highlights of the day include fields of pecans which make us feel like we are back riding in South Georgia! 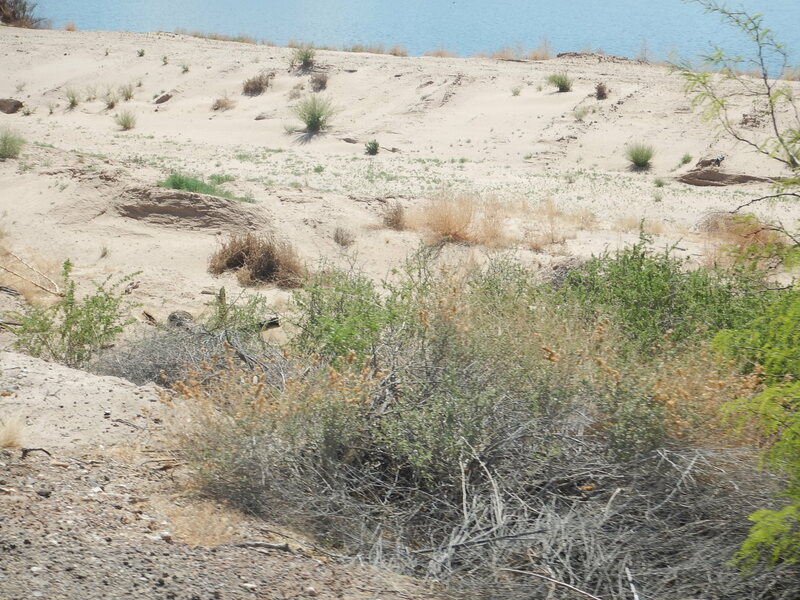 There is also a man-made holding lake for the irrigation in this area. 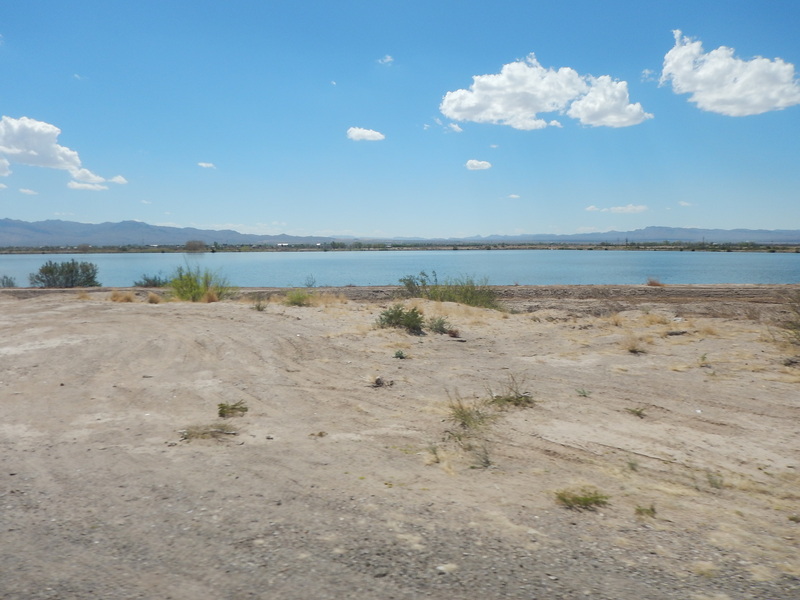 It’s the largest body of water we have seen in over two weeks, since we left San Diego! Here’s our ride stats. It would have been a super-fast day if we didn’t have to stop for what felt like hundreds of red lights. 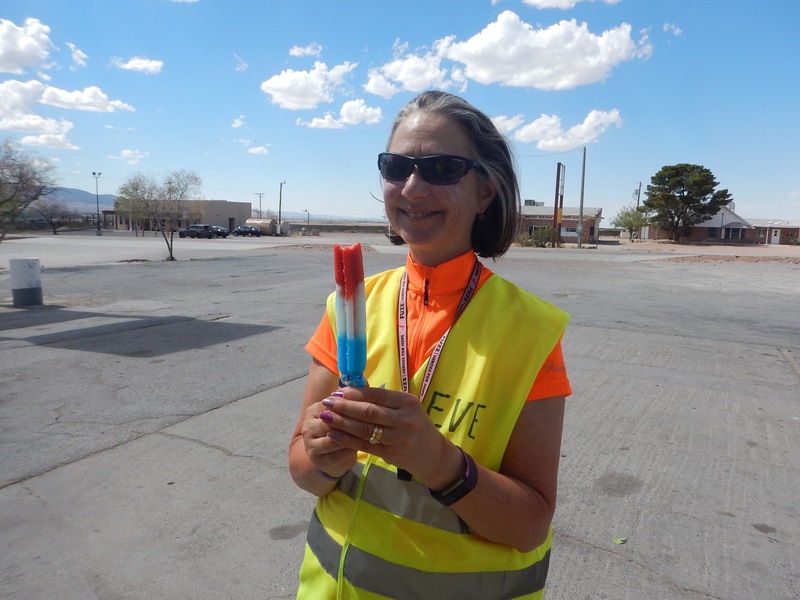 There is a reward for riding in the heat–a bomb pop! 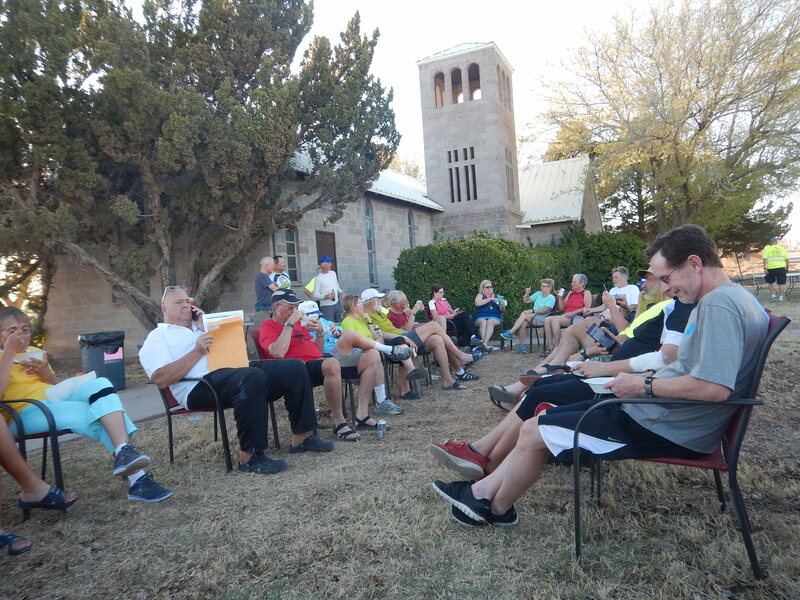 Our busy day ends with the nightly riders meeting just before sunset. Tomorrow: we head out early and try to beat the heat on a 75-mile day. Follow the blog and never miss a Coast 2 Coast post. Just hit the follow button in the upper right. Seen any Texas Longhorns, the animal kind? 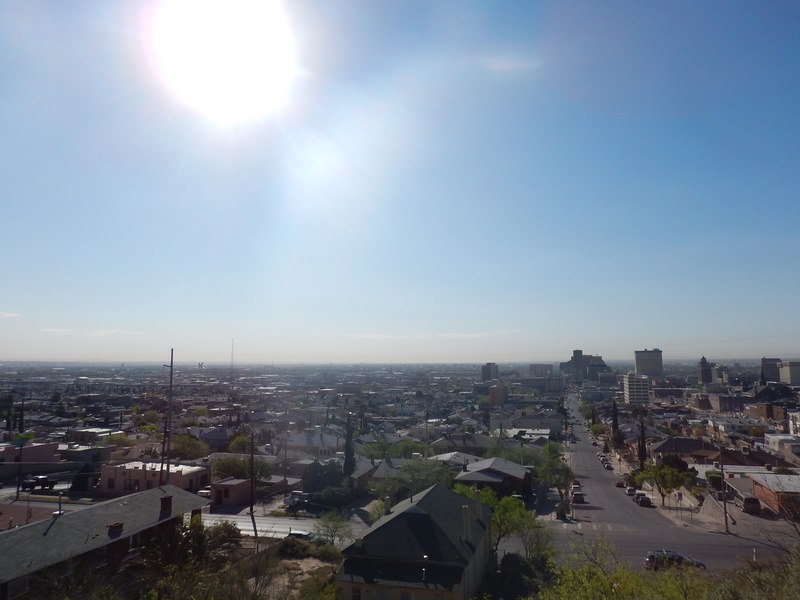 It was great seeing you in El Paso. Thinking a lot about your ride across Texas as we drive it. Damn! Texas is huge and desolate. Ride safe and stay cool.